Jeff Maness- When Jesus said, “It is finished”, what did he mean and how does that affect us? In this message we’re going to see how Jesus finished what we could not do so we could experience what we do not deserve. Taylor Miller- What was Jesus thirsty for on the cross? He was thirsty for water, he was committed to doing his Father’s will but he was thirsty for you. In light of that, we owe our allegiance to him. Andy Hazelet- The good news couldn’t be good until it was first bad. What do we learn from the suffering of Jesus? 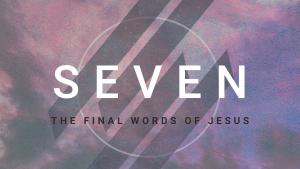 Given – Week 1: What is so wonderful about Jesus? 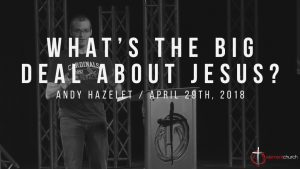 Andy Hazelet- Have you ever wondered what is so wonderful about Jesus? 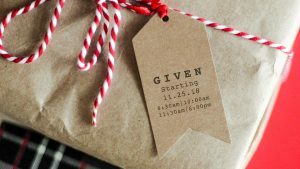 As we approach the Christmas season, we’re taking a look at what we’ve been “given” in Jesus. He is wonderful, and He is the counselor. 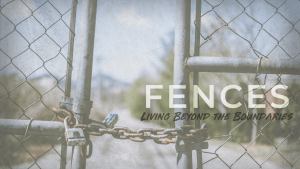 Week 3 – Fences: What Did Jesus Pray For Us? 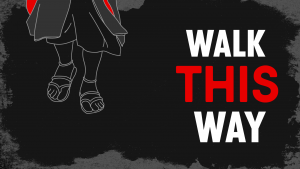 Jeff Maness – Did you know, Jesus already prayed for us? On the night that Jesus was arrested and led to the cross, He took time out of His own pain to pray for us when we go through it. In our presence and in our pain, Jesus is present and He already prayed. What’s The Big Deal About Salvation? Andy Hazelet Jesus is Lord, a phrase and a truth that divides many. If Jesus isn’t Lord, then He cannot save. What’s the big deal about Jesus? Jeff Maness Suffering might be inevitable, but that doesn’t mean it’s impossible to overcome. Jesus, in His suffering, offered to us the ultimate example of how to respond. In fact, it’s my response to suffering that is much more important than my protection from it.